The name of velouté sauce comes from the French word for velvet - aptly named for the texture of this light but super smooth sauce. 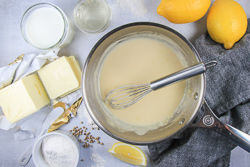 Similar to a béchamel, a velouté is a white sauce, but it uses a stock to thin the roux instead of milk. 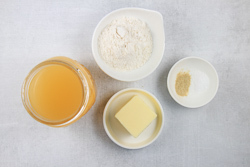 Chicken stock is most commonly used but veal or fish stock may be used, as well. This base sauce may be transformed with combinations of other ingredients like cream, Dijon mustard, white wine, capers, lemon juice, mushrooms, herbs, or shallots. 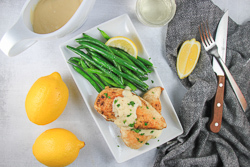 For this sauce variation, we added white wine, cream, and lemon juice to transform the velouté into a tasty white wine sauce that is perfect when served over a chicken cutlet. 1. In a saucier or saucepan, melt the butter. 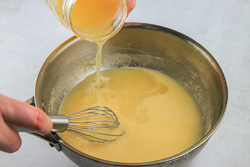 Add the flour, and whisk together until a thick roux is formed. Heat and stir the roux until it turns golden brown and smells nutty, about 3-4 minutes. 2. Slowly add the warmed broth to the roux while continuously whisking. 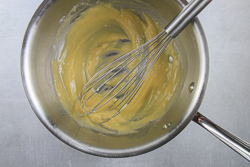 Whisk the sauce until smooth and well-combined. Bring to a low simmer, and cook for about 20 minutes until the sauce has reduced by 1/3, and is thick enough to coat the back of a spoon. Add salt and pepper, to taste. 1. In a small saucepan, bring the wine to a low simmer, and boil until it reduces by half. 2. Add the veloute sauce to the wine and simmer for about 5 minutes. Add the cream, stir, and bring to a simmer. 3. 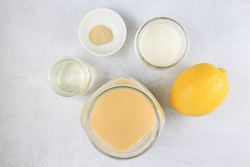 Add the fresh lemon juice, and season to taste with additional lemon juice; salt and pepper, as needed. 4. 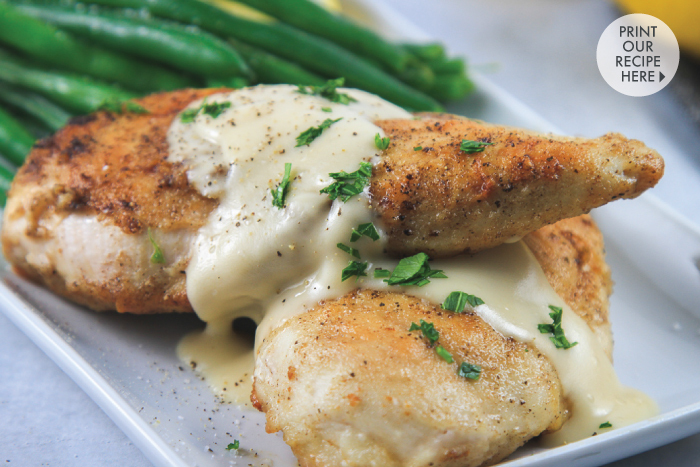 Serve the white wine sauce over chicken, fish, or roasted vegetables.